Better late than never, as the old saying goes. At WWDC 2017, Apple announced that it will be adding a new application to iOS, appropriately named Files. It will arrive with the launch of iOS 11 later this year and, as you can imagine, it will allow you to browse and manage your stuff – media, documents, and anything else you might have stored offline or online. 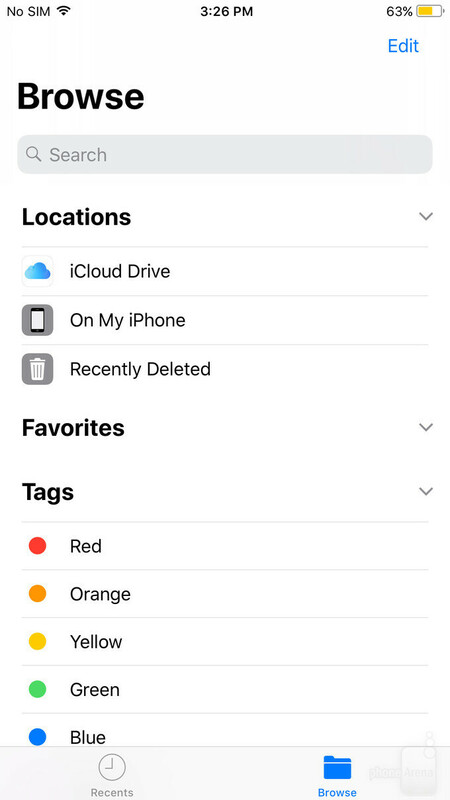 But we're left with the feeling that Files's introduction may have left quite a few questions unanswered, so in this article, we'll give you a more in-depth overview of the new iOS file manager. 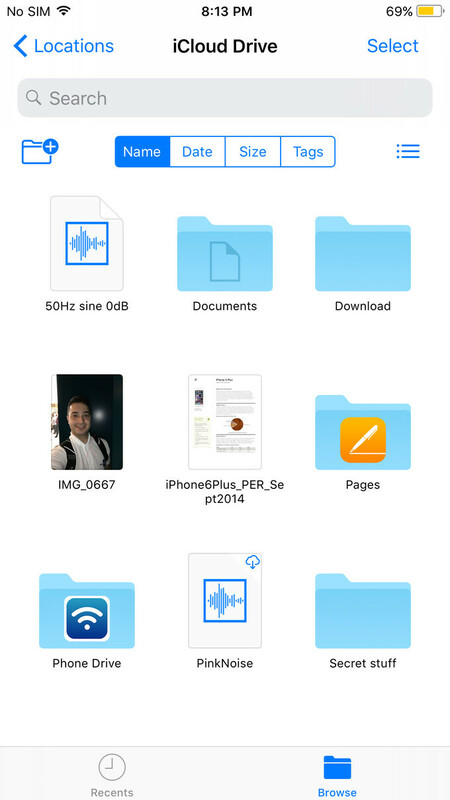 How can I get Files on my iPhone or iPad? 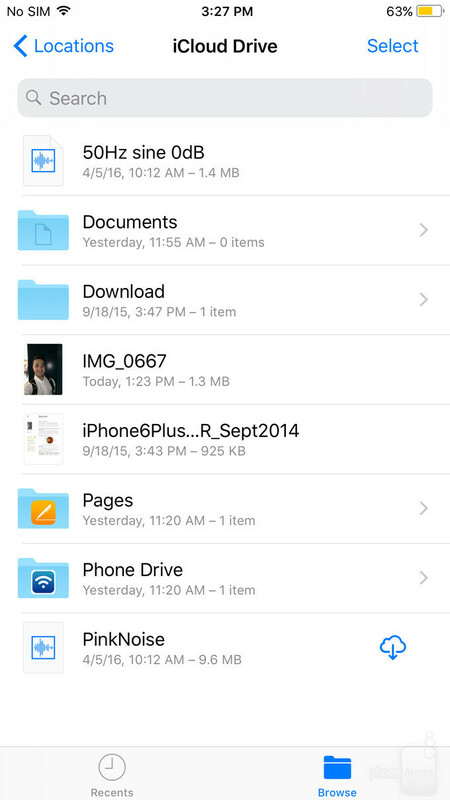 Files is a free app coming to iPhones and iPads in the fall. It will appear on your home screen as soon as iOS 11 is done installing on your iPhone or iPad. Yes, the app is available on the iPhone as well, even though Apple's presentation was focused exclusively on showing how Files works on the new iPad Pro. We have it currently installed on our iPhone 7 Plus, running the iOS 11 developer preview. One way of getting an early version of Files is by installing the iOS 11 public beta once it becomes available, but it might be another couple of months or so until that is released. Another is by having an Apple developer account and installing the iOS 11 developer preview which is already available for testing. However, this release is highly unstable, which is why flashing it on your daily driver is probably a bad idea. What does Files look like? What can I use Files for? To be clear, Files is not made for accessing the entire iOS file system. Important system and application data is still off limits, and that's surely for the better. The purpose of Files is to let you manage files you have stored in the cloud and locally on your device – to move, rename, and organize your stuff as you're used to doing on your computer, for example. We must point out that we can't seem to access local folders that we think we should have access to, such as the one with all our photos. This might change with iOS 11's final release. Now, when we say that Files is compatible with cloud services, we mean that its reach goes beyond iCloud. Third-party services are also supported: Google Drive, Microsoft OneDrive, Dropbox, Box, as well as Baidu, Tencent Cloud and Adobe Creative Cloud. What's so cool about Files? As a native application, Files is built to take advantage of iOS functionalities – drag and drop, for instance, is present across the app, and on the iPad, placing the app on the dock gives you quick access to files with a long-press on it. Side-by-side multitasking is also present, allowing iPad owners to do cool stuff like dragging an email attachment directly from their inbox over to a select folder. And those colored dots you may have noticed, those are file tags. These are added to files that you want to have grouped under a certain category without having to place them in the same folder. Naturally, tags will show up in the search bar, but you can tap on one to show all files tagged with it. New tags can be created, while existing ones can be renamed or deleted. On our iPhone 7 Plus, there's a Files widget as well. Also, Spotlight Search returns results from within the Files app. And if we turn the iPhone sideways, we get a cool split-screen view: with a folder's contents on the right and a navigation panel on the left. The Files app in the currently available iOS 11 developer preview can't be described as fully functional. Many features are still unavailable, including management of locally stored files and compatibility with third-party cloud services. Therefore, we weren't able to test them. But we do welcome the introduction of a user-friendly file manager to iOS – a feature that took longer to arrive than it should have. For a final verdict on how well Files gets the job done, we'll have to get to play with the final iOS 11 release. All i need is for ios to be able to send and recieve files through bluetooth and to download music and video files from the internet. People like you always need something extra and can never be satisfied with Apple's offerings. You are the reason that Apple has such a bad name and the reason why Apple has stopped innovating. You just whine whine whine whine whine and whine some more and get no outcome out of it. How silly is that? You are just a silly person who needs to adjust your priorities. Anyways, it's about time that you people realize that with apple you are witnessing greatness. Look - they truly do fulfill promises and make sure that every single one of their customers are satisfied. There is a reason why this tech giant makes most of the profits in the industry. They are one of the very few companies who actually makes a very solid effort in listening to its consumers on a daily basis. 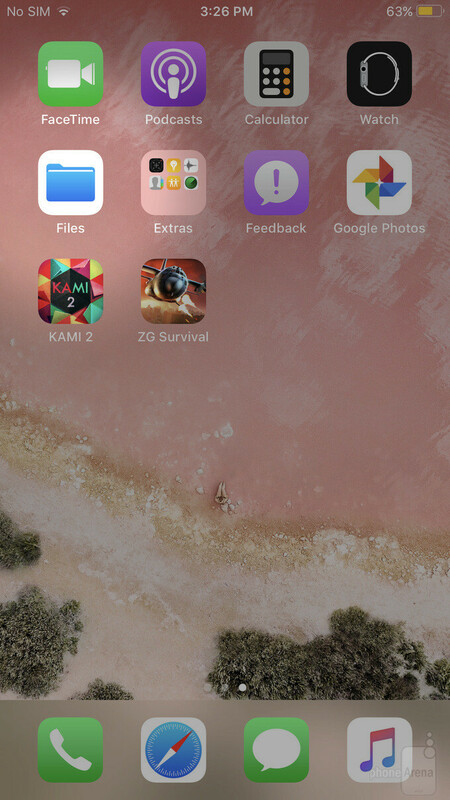 iPhones can now do basically anything you can do with an Android phone. That's saying something for a company that is very closed ended. I've said this before and i'll say it again. Apple just does things right. I find with literally every Android phone i use there is always a very critical issue and this is something apple has always gotten right. They don't release crappy beta products that always fail on you. And if your iPhone ever does fail, there are a bunch of store you can instantly go to for a fix or repair. Android manufacturers all have their heads up their butts! There is a reason why the S8 is so crappy and the LG G6 looks like a hot dog. They just don't put in the same level of care that Apple does, and looks like it's not paying off well for these dumb manufacturers. Take out your notebooks 1. come out with something people want 2. listen to your customers 3. stop overpricing your junk It's seriously that simple. And yet you have no intelligent response to counter his argument. Typical example of brainwashed iSheep. No doubt this planet is doomed. You're the epitome of "ALWAYS settle" for whatever Apple shoves in your face and tells you it's the best thing since life came about. Sheeple version of Techie with the same nonsense. Gosh dude, you make me qant to puke! The iPhone should already have been doing all the things Android phones do already. WTH is up with you? Access to inter al has been a computer thing since disks have existed. No matter what form they come in. Apple is the only idiots tbat dont allows mass storage usage. After all, you pay for it right? They want you dummies to pay for cloud. Cloud storage is stupod because you upload all tbis stuff and if th3 serveice if dkwn, or you have no connection, or th3 compa y closes, tou have to deal with trying to dow load it all. When its cheaper and easier to by a router, plig on a storage drive anf you can access anutime you want. The iPhone looks like crap compared to any of thr katest S models. But even though looks are subjective, only a blind bat would say the iPhone looks better. Samsung spends far an away more money selling us far bettwr quality hardware. As many cheap phones as Android has, even though have far lower failure rates than the iPhone. A 62% failure rate. Wbike All of Android combined was at 47%. 47% of 1.2Billion devices vs Apple which has 770M device aold running iOS If you think access to a few folders is Apple being great, then i can see it doesnt taje anything ground breaking tk impress you. #46 oh boy here it comes, clash of the techies. @Allfanboysmatter post 12. What a dumb post...idiot. "You are the reason that Apple has such a bad name and the reason why Apple has stopped innovating" So fierce. I am speechless lol Brainwashed level worse than ISIS. I couldn't even complete this nonsense. Yes Bluetooth. In case you forgot, iOS doesn't support NFC for anything other than Apple Pay. They won't let you have access to the photos. They've already made the photo gallery a nightmare. Both Apple and Google need a simple photo Gallery built in instead of this cloud based, over complicated mess. At least with Android you can install a better gallery. Thought i was the only one who didnt get the joke. Why is people always fighting Android this Apple that? I own iphones and Android just get whatever you like. And its true Android you can do so many tasks you cant do on Apple. I think Apple's trying not to give too many access, because of security reasons. Once this File Manager gets released to the public, I bet that less than a month there's gonna be a security breach in the app that hackers or people that have a lot of free time will take advantage of. Although it's nice to see that they're kinda widening the walled garden for people who love to have more control of their device. I know, I know... "if you want more control over your device, get an Android then". Heck, some people like iOS' simplicity, let them be.